It is time to close our Loop#2 and share our newly released management report: Human Centricity and Systemic Innovation. 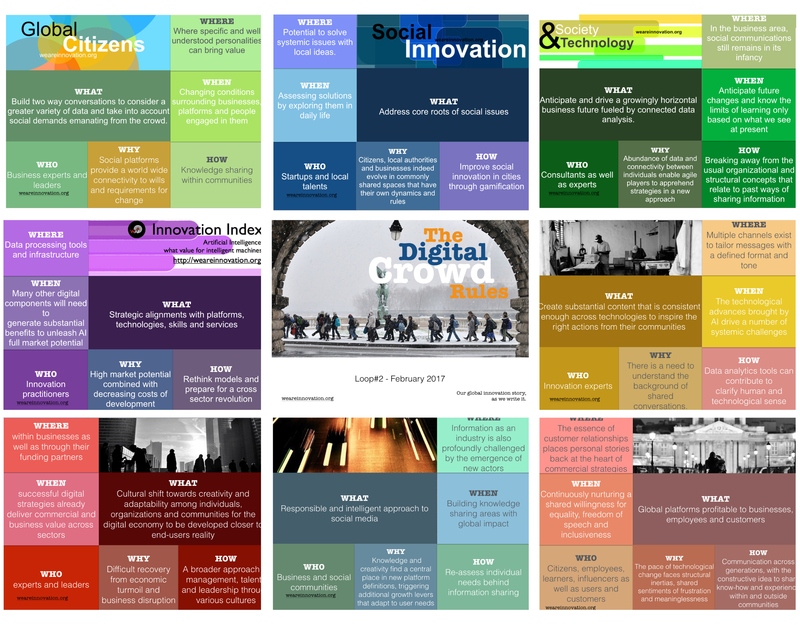 From May 5th, 2016 to February 8th, 2017, I have analyzed and compiled innovation trends into analytic stories intending to provide you with a live definition of opportunities and threats opened by the digital era. Whether you consider the economic, social, management or marketing side of innovation, the common denominator leading those stories is the disruptive impact led by the digital crowd. Below presentation takes you through key ideas and concepts highlighted in the analyses experts and analysts have inspired me throughout Loop#2. In addition, I have outlined nine actions you can take to partner with the digital crowd. The systemic trends affecting any innovation related project have created an interconnected and complex environment where decisions of some affect lives of others in much more dramatic manners than any technological evolution may have brought in the past. Because the spread of new services and technologies are accelerating together with the economic and social impact they drive, it becomes critical for any change maker to develop appropriate tools and thinking frameworks to understand and align with an ever changing project environment. This management report, « Human-centricity and systemic innovation », intends to provide innovation leaders and practitioners with a pragmatic approach to diversity, analyzing how multiplicity of ideas and tools contributes to intelligently read external threats and opportunities in order to combine them strategically with internal strengths and weaknesses. This report covers practical and strategic insights to inspire your next innovation. One of the results we have unearthed thanks to this methodology is the definition of values and benefits for systemic innovation. Writing management reports on innovation and diversity has been incredibly inspiring. So many different approaches and ideas resonate with this similar call for a human and intelligent change that diversity as a business philosophy has definitely turned out to be a real life philosophy to me, as a writer. Within the professional experiences I’ve had to chance to live in my current career, the ability to identify and build from constructive differences has proved meaningful and profitable to my teams, projects and individual values. I hope it will also prove valuable to you. The next issue of our management reports will concentrate on the digital economy : it has remained the most read topic over Loop #2. The on-going story we have written so far seems to provide our digital developments with systemic impacts that could be analyzed and managed by diversity. Can’t wait to start investigating. This is also the 150th article on weareinnovation.org, which makes me grateful for the knowledge and inspiration I have found through our global story, and I shall thank you for that. See you in the next loop! 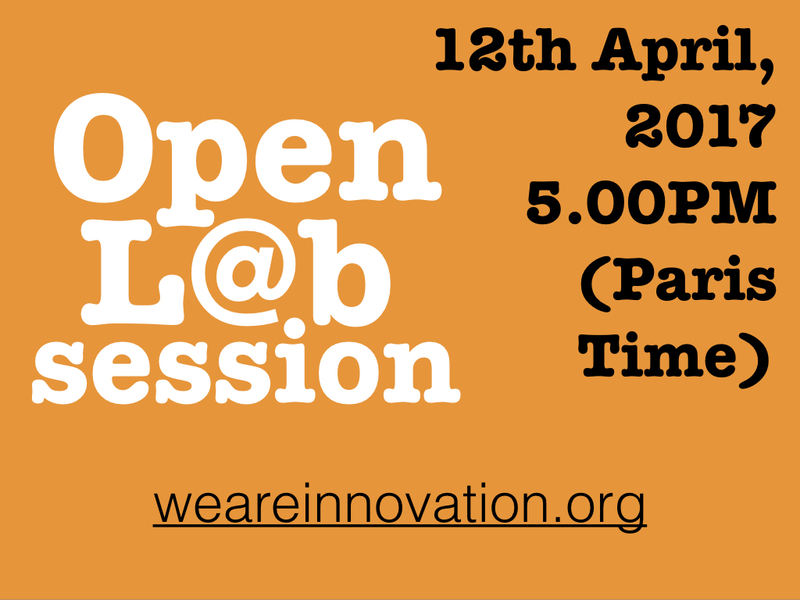 Previous Post Do you want to build human values for innovation? There is a plan for that. Next Post What is a global think l@b?